To assist NC State colleges, departments, and programs get data specific to their assessment needs, OIRP will include “insert” surveys along with the Graduating Senior (GSS) and Alumni surveys. 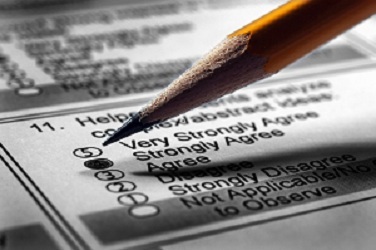 An insert survey consists of questions developed by an individual academic unit, and is answered by only those students/alumni in/from that unit. As a rule, in order to minimize survey fatigue we no longer administer insert surveys during the years in which the campus-wide triennial Graduating Senior Survey is administered (i.e., AY12-13, AY15-16, AY18-19), although exceptions can be made if there is a time-sensitive need for insert results. OIRP will administer any requested inserts during the years in which the campus-wide survey is not being administered; in addition, college/departments/programs can revise their inserts for any “off-year” administration. Inserts will be available during each administration of the triennial Alumni Survey (e.g., Spring 2012, Spring 2015, Spring 2018), and can be revised prior to each administration. For more information and suggestions about revising your insert, read the insert FAQ.